Girls of mulan franchise as disney (Non-)Princesses. 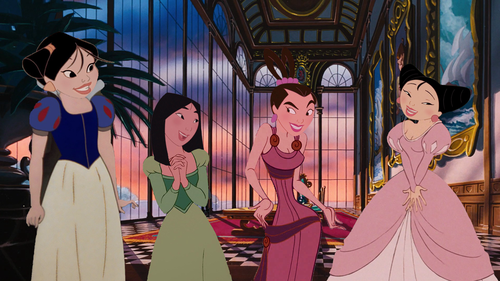 mulan as Belle, princess Ting-Ting as Megara, princess Mei as Ariel and princess Su as Snow White. The idea was mine but lonewolf-sparrowhawk from deviantart provided the rest.. HD Wallpaper and background images in the princesas de disney club tagged: photo disney princesses mulan fa mulan ting-ting mei su princess ting-ting princess mei princess su mulan 2 snow white ariel belle. Mulan and Mei looks nice, but the rest looks weird. 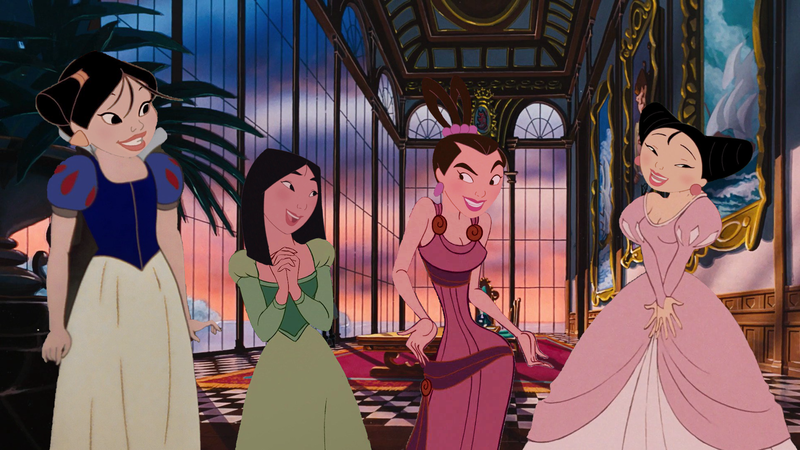 ^I think green is Mulan's color and the dress looks awesone on her!